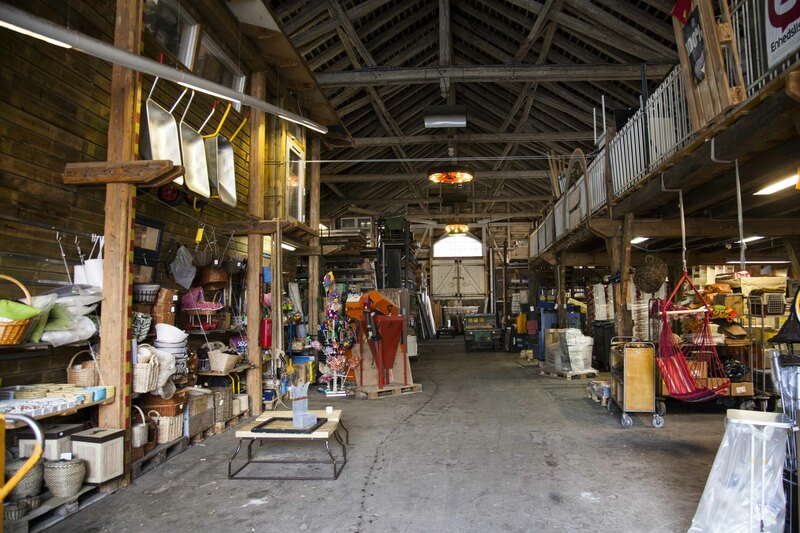 This section of Making Lewes highlights a variety of different ways in which parts of towns, cities and urban fabric are given over to environmental and sustainably focused living, in ways which go beyond the individual home. Eco-Districts and Eco-Housing are an approach to urban design, which integrate green elements right through the design of the site, including energy sources, transport, and food growing schemes. Although the number Eco-Districts remain small they continue to grow in different and diverse forms. Some of which are initiated by Government (mainstream), while others are more grass roots in organisation and origin. The examples presented are both mainstream and non-mainstream, and come from Britain and continental Europe. There are also several examples of Co-Housing, which are communities initiated and organised by their residents. Households are generally individual and self-contained while various aspects of the community are shared and managed together. Co-Housing is still small scale in Britain, while on some parts of the continent – such as Denmark – it has been a major part of the way people live. Community Self-Build differs from Co-Housing, in that the buildings are built by those wanting to live in the completed homes. And although once completed communities of self-build can follow similar strategies for community organisation, this is not necessarily the case. The Green Hall is in one of the buildings located in Christiania Freetown, an icon of hippie life in Copenhagen. Alongside a fantastic variety of self-built homes, the Green Hall is a multi-purpose timber shed, housing a recycling centre where Christiania residents can get the most of their building material. Also doubling as a craft centre for kids, and an evening concert hall. While not solely a buildings materials resource centre, nor focused on reused materials, the Green Hall integrates these into its wider alternative supermarket, with new as well as re-cycled materials available alongside fuel, hardware, office supplies, work clothes, hobby materials, sewing materials, used clothes, Christiania merchandise re-cycled furniture and much more. The Netherlands Almere is a Dutch new town of slightly under 200,000 standing on reclaimed land thirty minutes from Amsterdam. The site also contains Europe’s largest self-build programme consisting of a 350 acre site to the south west of the town. Master planned into a number of districts, each of which has around 720 self-build plots, with over 1000 homes already built, and an eventual 3,000 self built homes planned. This self-build city was announced The Almere Principles, a strategic policy shift in 2006, and is being closely watched by other European housing policy ministries, including the current UK Coalition administration. This local government document can be found here. A Guardian article on the Almere phenomenon in the British context can be found here. Ashley Vale is a community and self-build eco district in the heart of Bristol. Taking nearly fifteen years to complete, Ashley Vale consists of 17 buildings, all of which are self built by the community. The resulting buildings are diverse, and demonstrate a completely non-doctrinaire aesthetic, which is both individual and inspiring. Ashley Vale illustrates where self-build can be taken if the community are committed to and engaged with the process of self-build. For more information on community-self build projects in and around Bristol, visit the Bristol Community Land Trust. Ashley Vale is also where a number of national self-build organisations are based. Lancaster Co-Housing is the first Passivhaus Co-Housing project in Britain. Standing beside the river Lune, outside the North Western town of Lancaster, the 2.5 acre site comprises 41 homes, all of which attain code 6 for Sustainable Home standard. Designed by Ecoarc the project also includes community facility’s, workshops, offices and studios in a redesigned mill. Lancaster Co-Housing demonstrates the Passivhaus system being put to use for community ends. LILAC stands for Low Impact Living Affordable Community. LILAC recently opened after several years preparatory and participatory work. Six varyingly scaled block houses are home to the first 21 LILAC residents, living in this inner-city and contemporary version of Co-Housing localism in Leeds. The LILAC site includes allotments, community and individual gardens and is considered a pioneering example of new style community localism. LILAC has been designed through community participation with the Bristol practice, White Design. The Low Energy housing uses ModCell straw bale cassettes and structural cross laminated timber, two cutting edge ‘bio-based’ building materials. See here. Vauban is one of the earliest continental eco-districts, which developed in the 1990s and early 2000s into one of the most ambitious housing project on the continent. Vauban was originally a response to the Chernobyl Nuclear Power disaster in 1986, with its early stages of creation driven by a community of environmentalists working to develop sustainable approaches to living. Today Vauban, on the site of a one time French military barracks at the edge of South West city, Freiburg, is one of Germany’s prime examples of a leading edge eco-district and is known across the housing and planning world. With over 5000 residents, Vauban is one of the few eco-districts which demonstrates, showcases and provides an exemplar of large-scale low energy living, while retaining a strong community ethos. The main central part of the eco-district, with a tram line running down its central spine, is car-free, with interlinking pedestrian and cycle paths connecting much of the housing, significant tree cover, and natural features (including boulders and large stones) acting as nature playgrounds for children, and gardening areas for adults. Schools, health-centres, whole and organic food stores are part of the wider eco-district. Vauban is a pioneering example of how eco-district and community can be co-created for the ecological future. The second major Swedish eco-district project is Hammarby Sjostad in Stockholm. When first initiated in 1990 the aim of this large eco-district (planned 25 000 inhabitants in 2015) was to cut overall impacts by half, to be delivered using the Eco-Cycle or Hammarby model. A set of current objectives, for instance 80% of travel by public transport, are set to be reached by next year. Bo01 – Malmo. Those watching the Danish-Swedish TV thriller ‘The Bridge will likely know where Malmo is, (the other side of the Bridge from Copenhagen.) What isn’t apparent from tv is the Bo01 eco-district along Malmo’s old dockland harbour front. Opened in 1998, and showcased in a housing fair in 2001, Bo01 has grown in the intervening decade. Bo01 is a showcase for integrating many aspects of sustainable building culture on a large scale, and has become a major influence on the development of green cities world-wide. On this wider agenda see here.